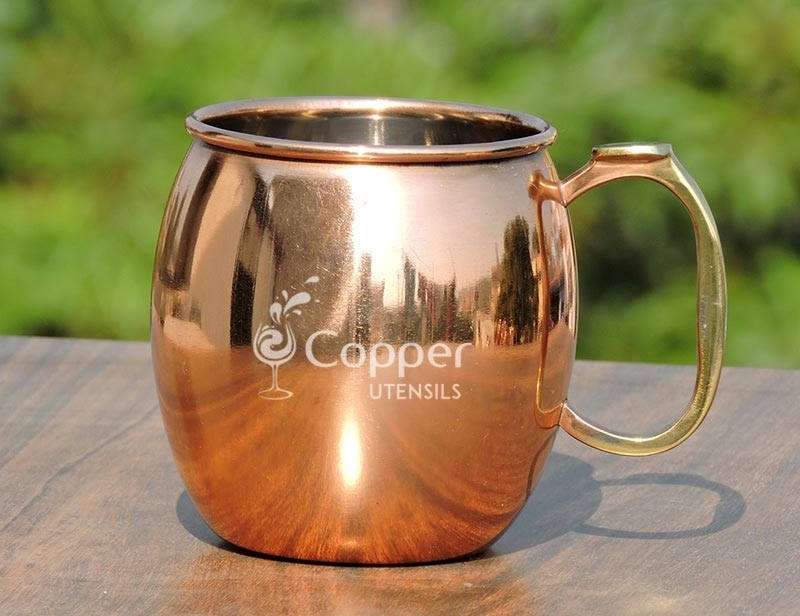 Stainless Steel Moscow Mule mug with smooth copper plating. 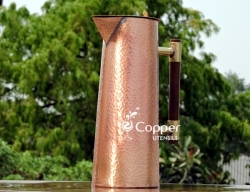 Sturdy brass handle with thumb rest for better grip. 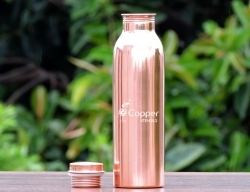 Perfect for drinking hot and cold beverages. 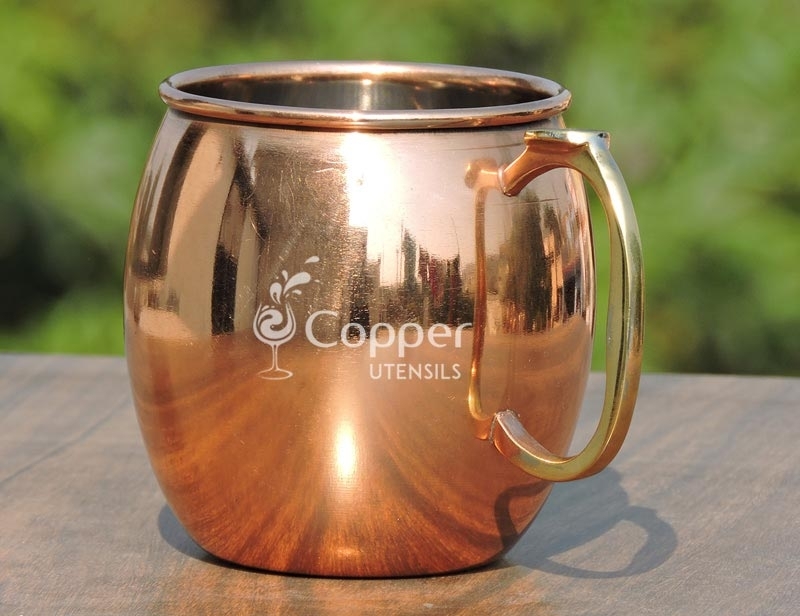 Our stainless steel Moscow mule mug with copper plating is extremely stylish yet simple at the same time. 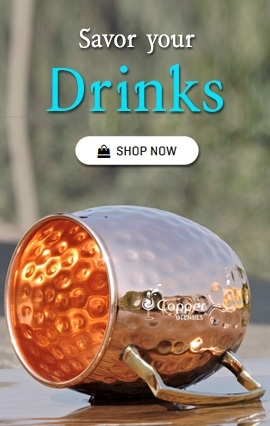 This mug is perfect for serving all types of cold beverages including the ones slightly acidic in nature since it has a stainless steel interior. 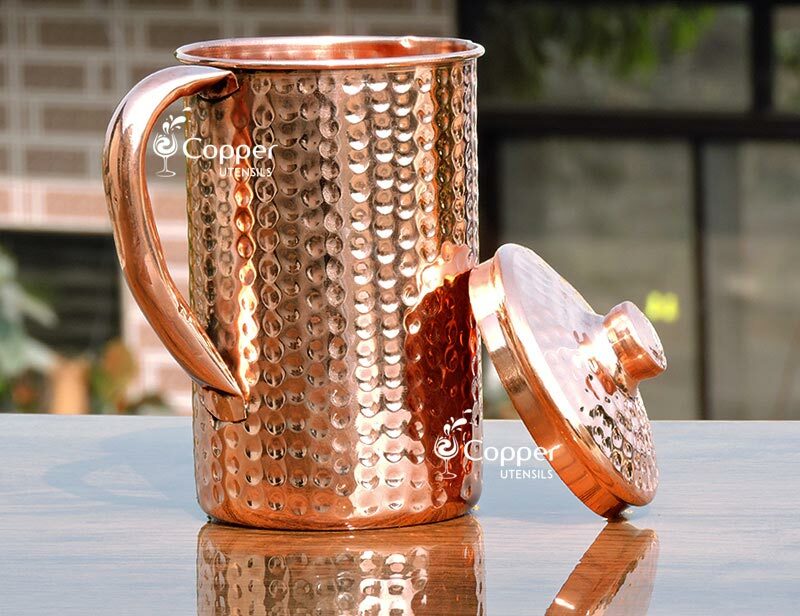 The round shape and shiny exterior of the mug gives a royal look to it and is sure to make a great addition to your Moscow mule collection. 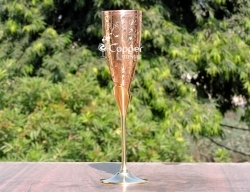 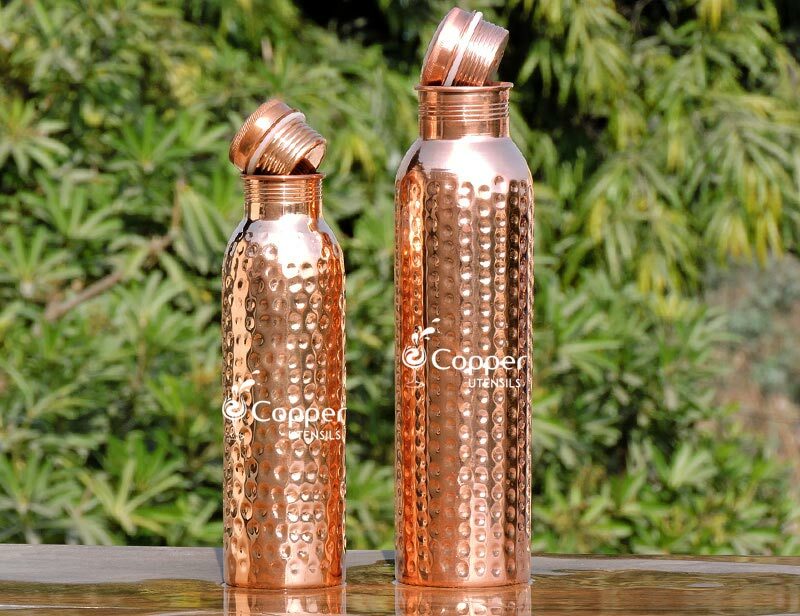 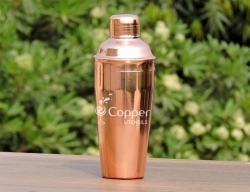 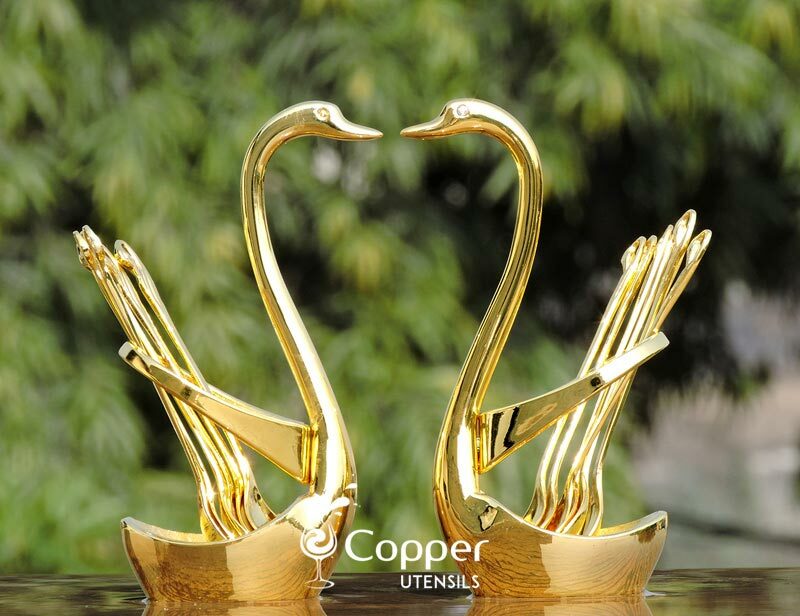 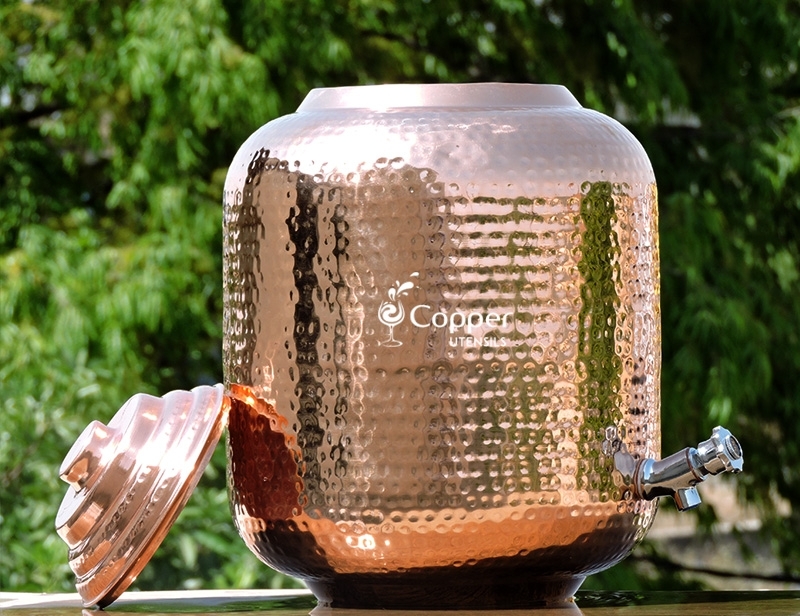 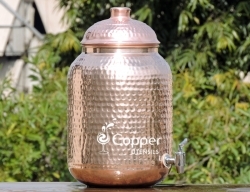 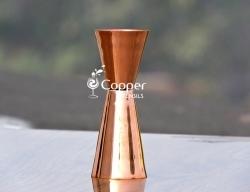 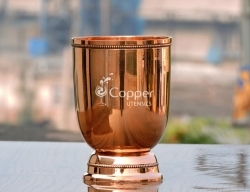 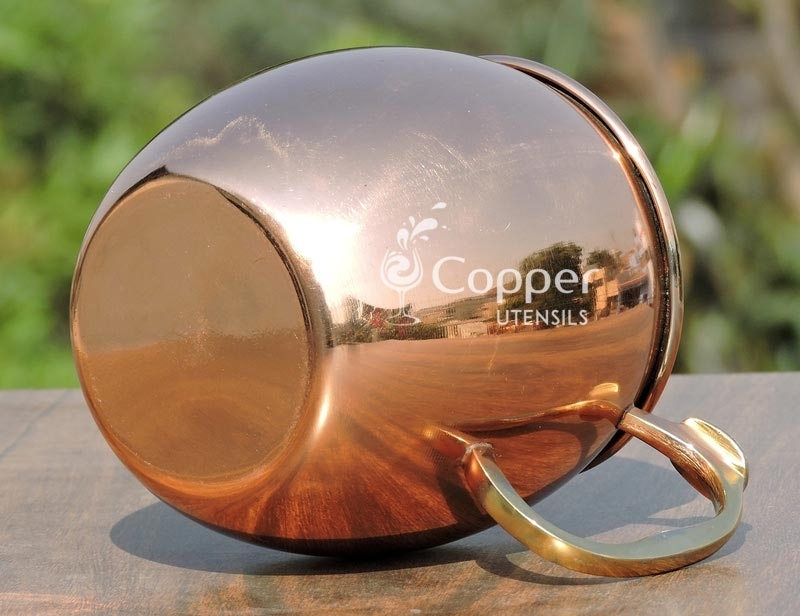 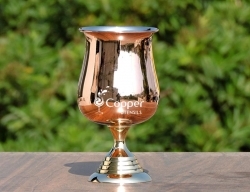 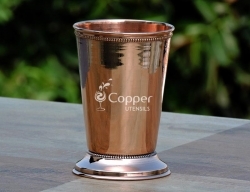 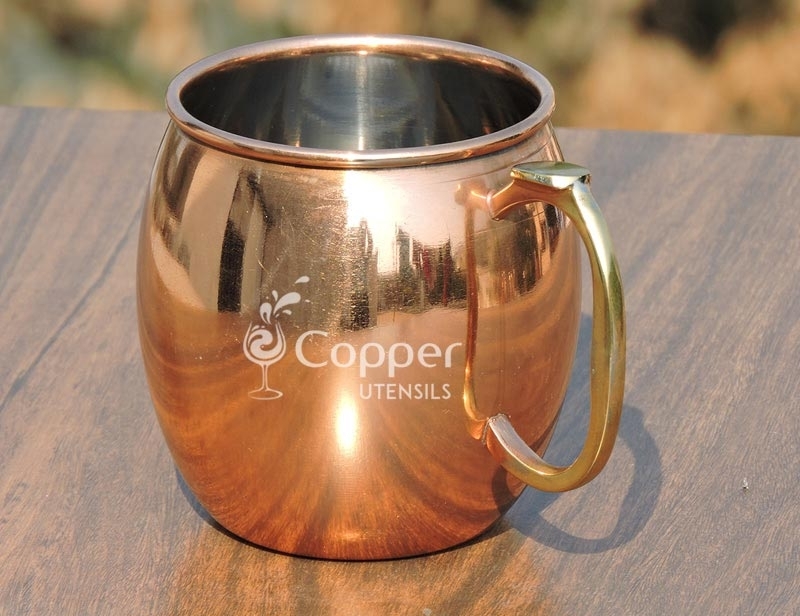 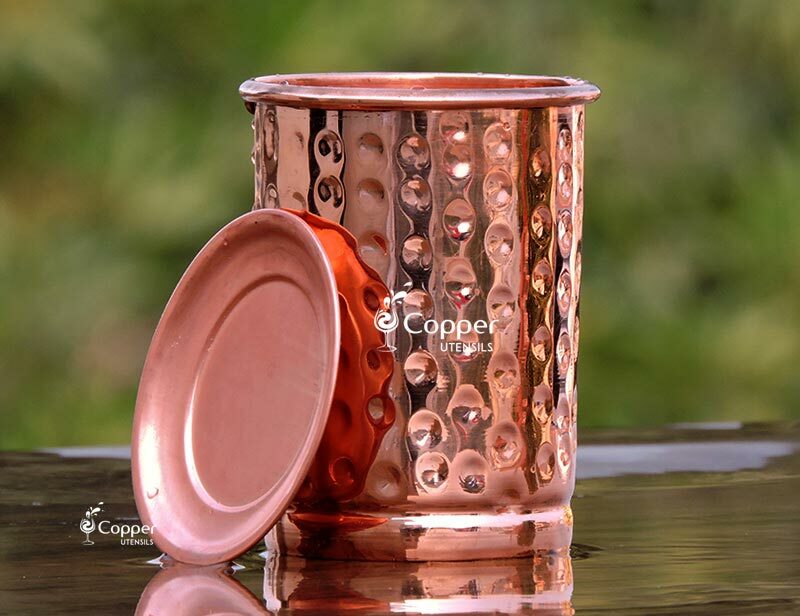 As compared to the pure copper mugs, this stainless steel copper plated mug is much easier to maintain and clean. 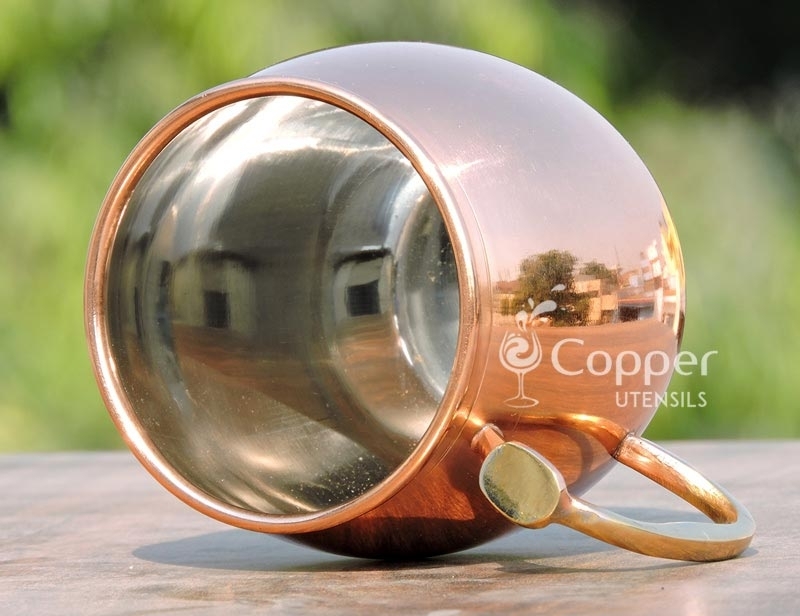 You can either put it in the dishwasher or clean it with a sponge and regular dishwashing liquid. 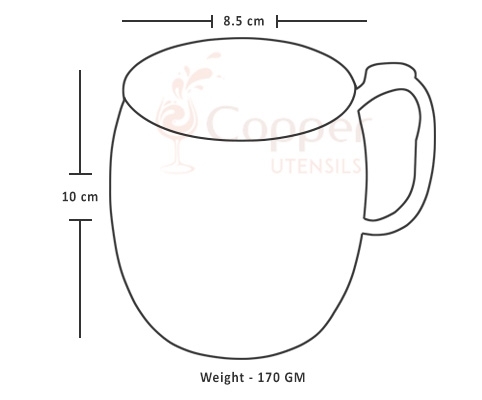 Just make sure never to rub the surface of the mug with an abrasive scrubber as it may damage the product completely.